We met Jon Sherman, the Founder and Creative Director of Flavor Paper today at ICFF where he introduced their new Andy Warhol Collection of wallpapers. With access to much of Warhol’s work (except his wallpaper designs), Flavor Paper is utilizing the wide berth of imagery, ranging from rare to iconic paintings, silkscreen prints and film stills as inspiration for the collection. Our favorite was the "Ali" wallpaper based on original Warhol Polaroids of Muhammad Ali taken in 1977 as part of Warhol’s "Athletes" series. Flavor Paper utilizes a monoprint technique where four people paint into the screen and then print. 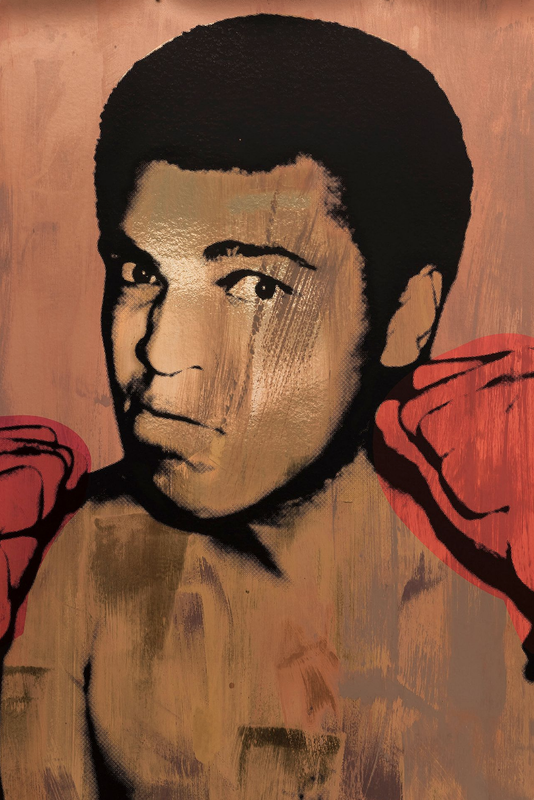 Each Ali is unique, creating a wall of original art in homage to two true groundbreakers.